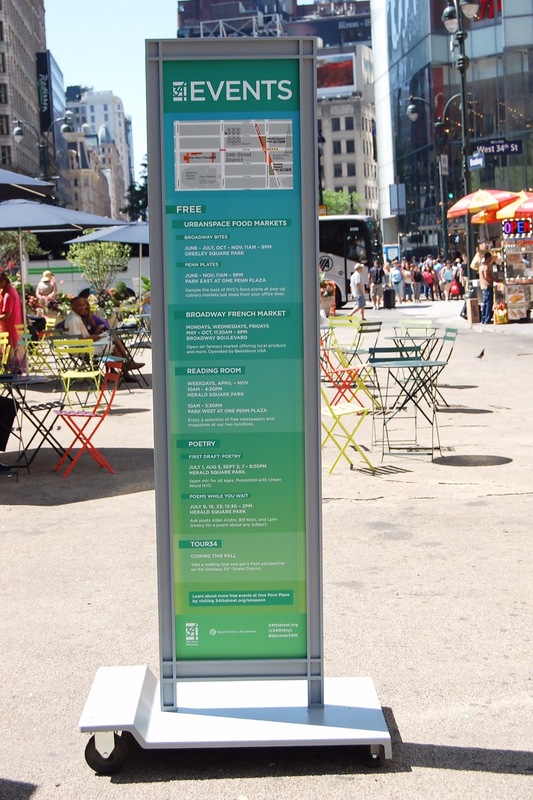 This amenity sign is a two-sided sign created to communicate pedestrians and tourists in the area about the different activities available in the 34th district in New York City. 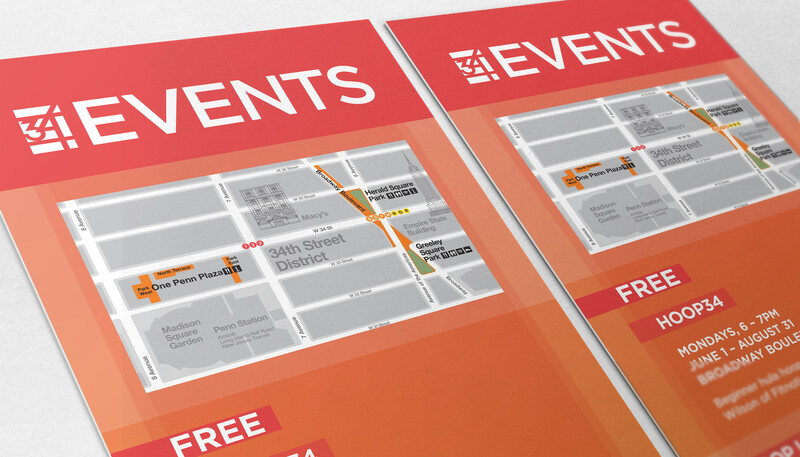 The colors of each side relate to the intensity; the orange gradient for active and the blue gradient for passive. 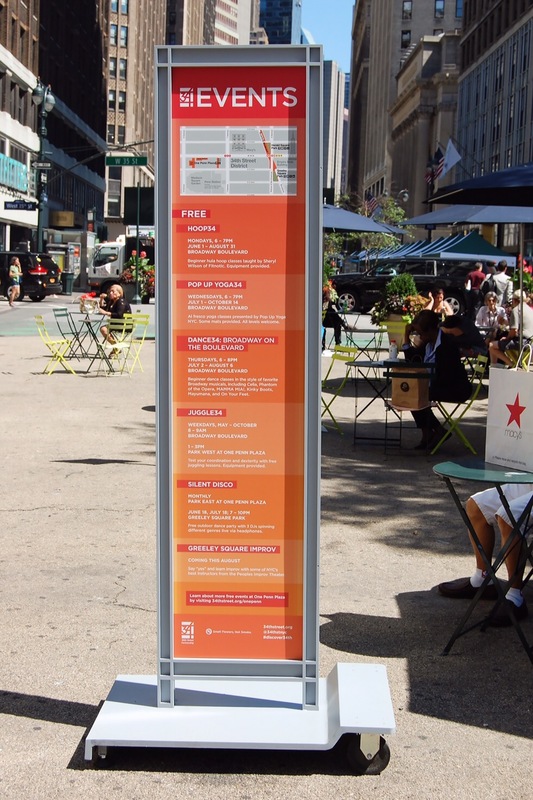 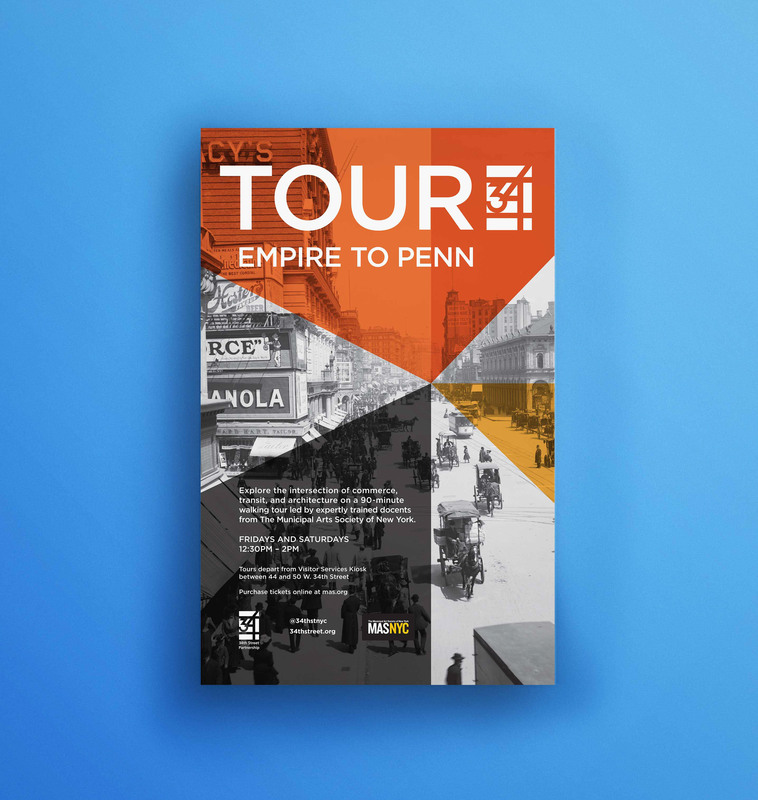 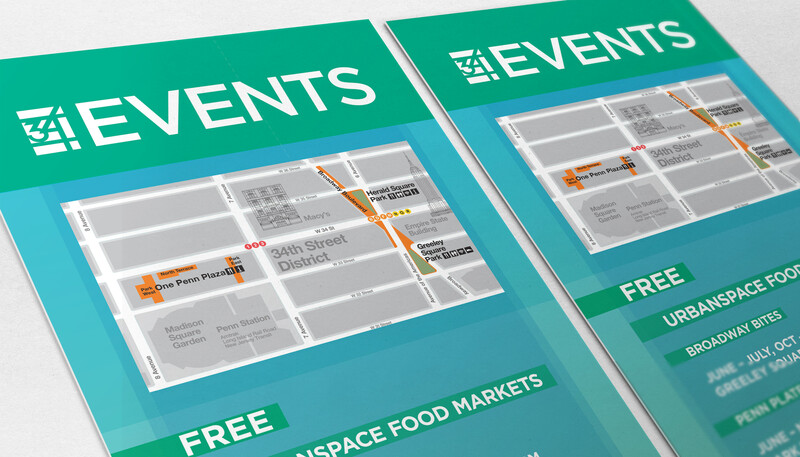 It also has an element of wayfinding in both sides, so that the audience can easily associate each activity with the different locations: Broadway Boulevard, One Penn Plaza, Greeley Square Park and Herald Square Park.